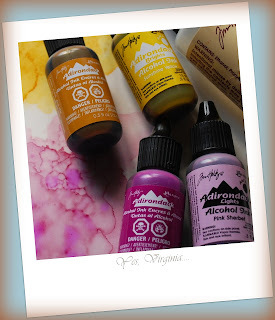 NEW Fresh Squeezed Stamps-Monday's Post! It's a very special Monday here with Fresh Squeezed Stamps. This week, FSS is celebrating its FIRST birthday on Oct. 1st!! For this very special occasion, FSS is releasing a new stamp set to mark this celebration. Also, Fresh Squeezed Stamps is throwing a weeklong birthday bash during the week of Monday, September 30 through Friday, October 4. There will be gifts galore to give away on the FSS blog all week, as well as a special birthday challenge beginning on Monday, September 30 to mark the occasion. 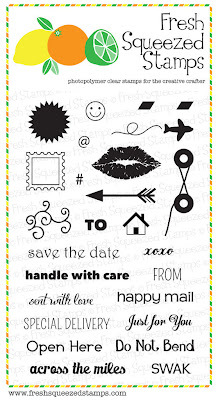 This special 2x4 stamp set (Paper, Scissors, Ink) will go on sale beginning on Monday, September 30.<----that's TODAY! When I received this stamp set, I knew it's going to be very popular. I had combined another FSS stamps Everyday Expressions to make this birthday-themed card. A little bit of tone on tone background stamping and some oval die cut, this card is easy to create! 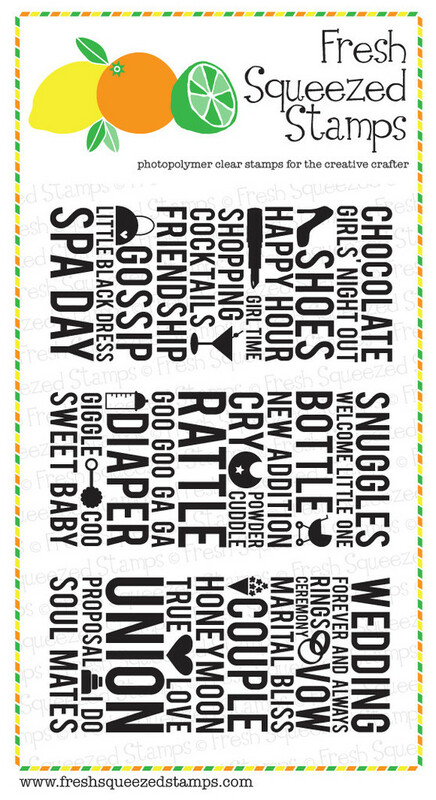 Please stop by Fresh Squeezed Stamps to check out the giveaway! Hurry! The World of Color (and a card with paint chip)! If you are in the mood for seeing COLORS, this post is for YOU! Today I am sharing some cool videos that my son David took during our visit in Disneyland, California. World of Colors is a 25-minute nighttime spectacular that weaves water, color, fire and light into a kaleidoscope of imagination. With Disney music in the background, you can see water form fanciful images and the characters come to life on a veil of mist. Previously I had shared it in my home video. If you didn't see World of Colors, here it is again. and turned them into cards. What can I say? Who knew that playing with paint chips could be so fun and ...liberating!? I just forgot about the design rules and played just how I liked it. The green and orange paint chips are perfect for each other! I die cut the butterflies and fit the large/small butterflies like a puzzle. 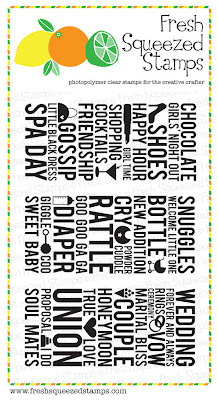 The sentiment is from Fresh Squeezed Stamps (Everyday Expressions). Thanks so much for stopping by! Now have yourself a beautiful and colorful day! Have you tried using cork paper? It's basically a thin sheet of cork. I bought a sheet of cork paper from Michael's a while ago. This is my first time to use it on a die cut! It is actually much easier to cut than on regular paper. I am entering this to the Moxie Fab World's Metal,Wood & Cork Challenge. I love the white embossing that the leafy vines gives on the butterfly. This card was easy to create since I have all the supplies readily in front of me when I created. Don't you just love that? Gold is so on trend right now...every time I flipped through a magazine or browse at the shops, I always see GOLD! I saw these images from Pinterest...aren't they gorgeous? Today I am on the Gold Rush and joining the fun over Moxie Fab World's All That Glitters is Gold Challenge. from Neat And Tangled. I first stamped the large circle several times. I chose to use textured card stock (American Craft), it is not perfectly inked and that's actually kind of neat. I used two different kinds of gold embossing powder. The smooth one is for the circles and the coarse powder is for the sentiment. I added more gold sequins and added some gold glitter. Today is Day 3 of the Fresh Squeezed Stamps new release! This set called "A Wee Christmas" is absolutely fun and whimsical! I had SO much fun playing with the images! I decided to use felt to create that warm and cozy feeling from these boy/girl images! Note: I am entering this to Moxie Fab World's General Craft Supply Challenge. With a bit of pattern paper, this card design came together quickly! Ding---> Other than pattern paper, try paper-piece with different types of textures/materials (such as felt) and you will be surprised how unique the result is! I hope you have fun checking out the new stamp set (see here) and get inspired! Alert: there is a giveaway that ends at midnight tonight (Sept 26, Eastern time). Hurry! I decided to make tags! Often I don't seem to have enough tags around the house. Aren't these owls adorable!? I had fun stamping the bottle and black bird!! I added some glitter, too! 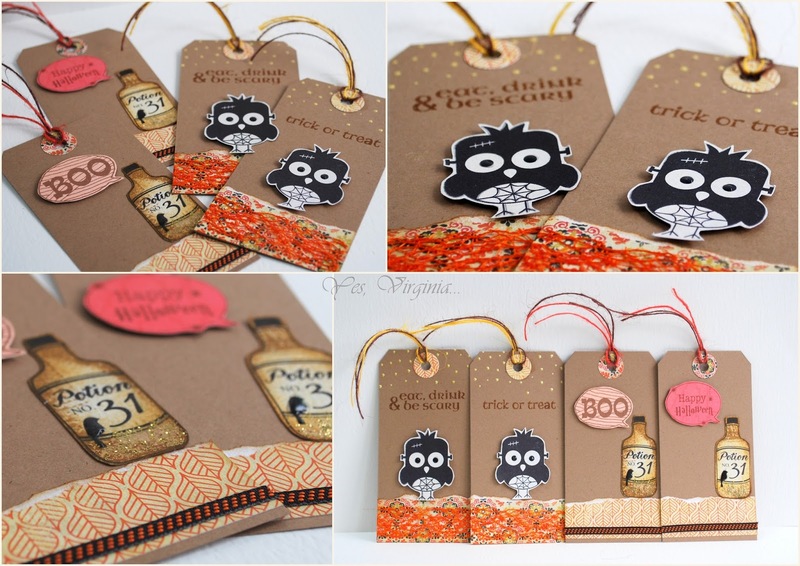 Halloween is the time that I could really use lots of tags for my treats and gift bags for friends and neighbors! Ding---> I don't have tag dies like this set! But that doesn't stop me from making my own tags. I happen to have a few ready-made tags, so I just used them as template and make my own! I'd say...save the money for die cuts that you can not easily duplicate! I still want that tag die though! Hope you like what you see! Please check out Fresh Squeezed Stamps and I am sure this set will totally put you in the Halloween mood! Alert: there is a giveaway that ends at midnight tonight (Sept 25, Eastern time). Hurry! Hello! 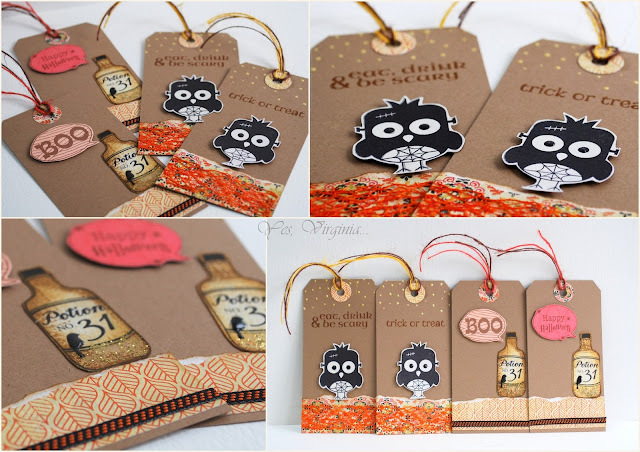 Welcome to Day 1 of the September new release from Fresh Squeezed Stamps! This set "Say Anything" comes with many wonderful sentiments and a super fun image! It is sort of like the wave or bracket...depending how you look at it! Here is my take on this set! Do you miss seeing the creative light bulb? Here it is! I had a few more idea as to how to use this set! I love a stamp set that makes you THINK! I hope you stop by at Fresh Squeezed Stamps and check out the DT's inspiring work! ALERT: There is a giveaway that ends midnight tonight (Sept 24, Eastern Time). A Shape Card with Cork! Happy Monday! Just popping in to share a Scramble card ( time limit is 90 min--from creating to uploading ) that I made last Saturday over Hero Arts Flickr. You can see all the details here. I decided to use paint chips (my latest obsession) for the background. With the new (to me) swatch Spellbinders die cut, I created a square card. I also used a piece of small cork paper and embossed the sentiment in white. I am entering this card for the Metal, Wood & Cork Challenge over Moxie Fab World. Special note: If you miss checking out yesterday's alcohol ink tutorial, please click here. I will be back for Fresh Squeezed Stamps new Stamp release tomorrow. Hello! I am honored to be the guest designer over Little Tangles today! With the color combo (yellow, grey and pink, details here), I came up with a tutorial to share with you! Back by demand, I did the project with vellum and alcohol inks! 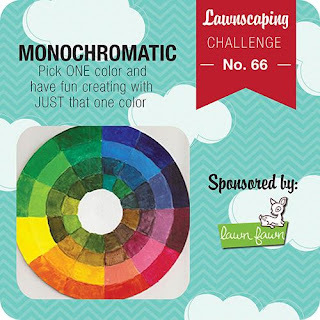 I am also entering this project to Color Media challenge over Moxie Fab World. ~ Use Alcohol Applicator with felt. Here I used regular brown felt for the alcohol inks as it works . AND it saves money! ~ You can control the color intensity by adding more/less inks and alcohol solution. Experimenting with the alcohol inks is part of the fun! ~You can either dab or swipe the inks to create textured look that you want. ~ See how I used the die cut for creating edges (see top left)? You can make good use of your existing die cut. ~ With the extra cupcake images, I made a card. Combining Washi tape, buttons and sequins, this card was quick to put together! and a few fun book marks! I truly hope that you pick up a few tips and ideas about alcohol inks through this simple tutorial. It really IS easy! The hardest part is to jump into it since it will require you to make that little "investment" to get the alcohol inks, ink applicator, glossy paper and blending solution (use those coupons!!). Once you have the supplies, you'll just have to play and experiment. Thanks, Ren-Yi over Little Tangles, for having me as the guest designer today! It is such a pleasure to share my work with you at Little Tangles! I would love it if you can stop by Little Tangles! A Collage Card and....Extra, Extra! Hello! I am sharing a collage card today. It's not my usual style, but I strive to be a card maker that can do all styles! So this is my attempt. I had fun mixing up the pattern paper (by American Crafts). I also used distress paint to color the canvas bird and stamped music notes on the birdie And come to think of it, Moxie Fab World's Color Media Challenge seems to fit the theme for this card.! A special note to thank you for the most encouraging and kind comments over my take on Tuesday Trigger! This blog really is a hobby for me, I don't know why I take my cards so seriously!? Sometimes I wonder how much longer I will keep my blog going, but YOU (my readers /followers/friends) make it all that much fun and worthwhile---> insert a BIG smile! EXTRA, EXTRA! Here is the sneak peek! Tomorrow's post (8 AM Eastern Time) is a TUTORIAL about alcohol inks! It's a photo/tip-heavy post, so please don't miss it! Thanks for stopping by! My attempt on the Tuesday Trigger. This little card took me quite a few tries...I'm not sure if I like how it turns out, but here it is. I had the "vision" to use this lined stamp from Texture and Shape and was kind of stuck with the idea. It is particularly challenging to translate a linear and graphic image to a card design (at least for me anyways). I am on the CAS-ual Friday's Stamp Blog today! For the details of this card, please visit CAS-ual Fridays Stamps Blog! Here is a fun photo of me posing with the Forrest Gump bench, suitcase and shoes (taken at Pier 39 at Fisherman's Wharf in San Francisco)!
" My mama always said that life was like a box of handmade cards. You never know what you're gonna make." I am also sharing one congrats cards over CAS-ual Fridays Stamps! Please check them out here and leave me your comments! It's been a while since I played Lawnscaping Challenge! Check it out if you haven't! 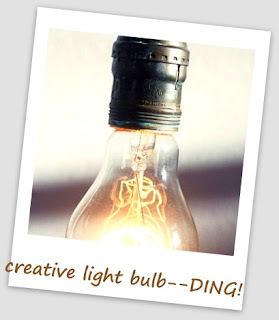 My sweet and talented blog friend Vicky is the guest designer! Today's card is a combination of my latest fascination (paint chips) and new Lawn Fawn stamps (thanks, Alice!). And it fits the monochromatic theme perfectly! For my card, I used two strips of grey paint chip as the background. I also incorporated (Owl Flourish) an embossing folder that I haven't used for ages. I white-embossed the bats in BG paper, cut and arranged them in a fun way! I also added the silver sequins for the owl's eyes! SPOOKY-huh? I have a few more paint chips-related projects coming up! So please bear with me! Now go and RAID the paint chip section ( I won't tell! ). Welcome to the latest Runway Inspired Challenge! Isn't this dress enchanting? Here is my take on this challenge! Among all my stamps, this older stamp "Scroll Tree" first came to my mind and I was kind of stuck with it....somehow I felt that I had to make it work! Not sure if you can tell, but I did struggle with this challenge. Perhaps it's because I had a hard time making the stamp work with my design or maybe I want to incorporate too many things in one (that is always a challenge itself!). Here is the other card that I made (if you care to have a peek). I hope you do check out the design team's work over Runway Inspired Challenge and feel inspired! Aga was on maternity leave and she is BACK! You definitely do not want to miss seeing our amazing guest designer Betsy Veldman's take on this!!! Fresh Squeezed Stamps --Monday's Post! Hello, my friends! I know it's only Monday, but don't you think EVERY DAY should be a SPA DAY? 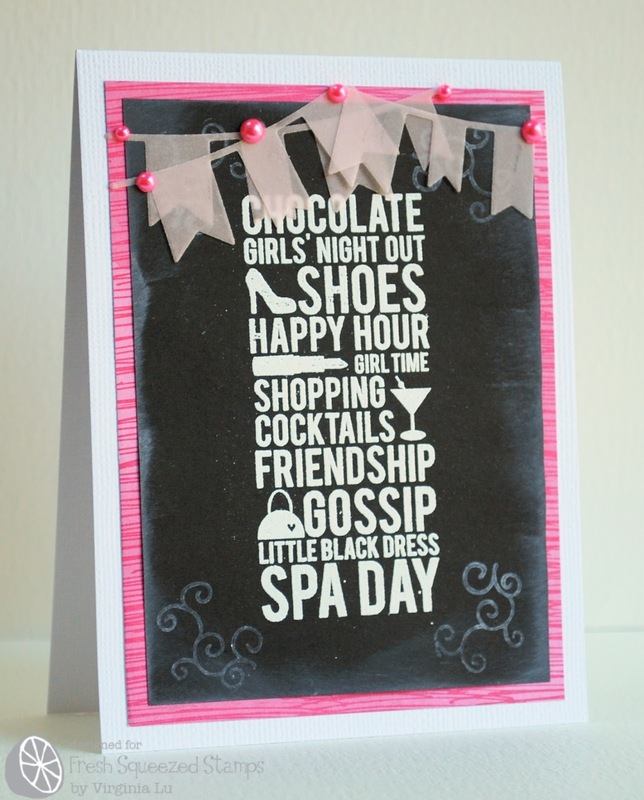 Well, we are celebrating it today with a Spa Day card! With the chalkboard effect, this card is pretty self-explanatory. For all the details and tips about this card, please visit Fresh Squeezed Stamps and leave me some love there (much appreciated!!). The comment feature in this post has been turned off. Traveling in California with Alexia! 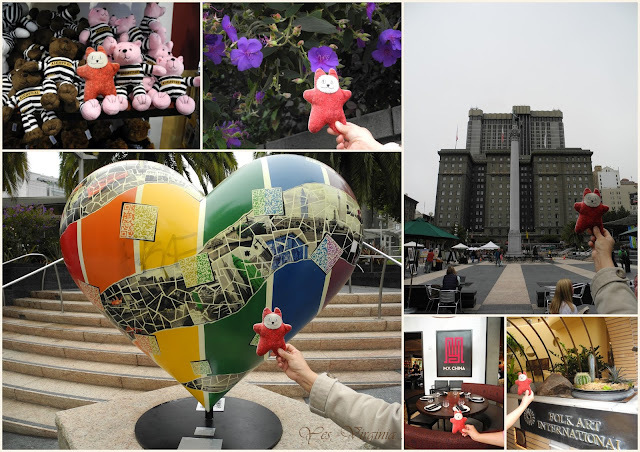 If you would like to see what I did in California, please take a tour with my little traveling companion Alexia! Take it away, Alexia! Bonjour! It's Alexia the cat. If you are new to Virginia's blog, here is a little info about moi! I was lovingly created by the super talented Alexandra. I have been living in Virginia's craft room since 2010. I do not care for the cold air from Virginia's window sill, but the perk is, I get to travel with Virginia and her family. I have been to Italy several times and even made my way to Russia last year! First stop, San Francisco--here we go! It's a cultured city with its very own chocolate, according to Dr. John. He is a HUGE fan of Ghiradelli chocolate. 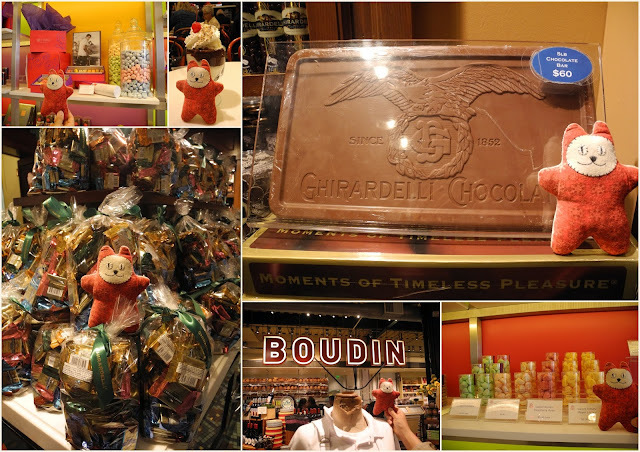 After arriving at Fisherman's Wharf, we did LOTS of chocolate sampling, toured the factory and the shops and bought some chocolate, of course! The sour dough bread at Boudin is DELICIOUS! Here I was--at the Palace of Fine Arts. The place is amazing. Hard to believe that a structure like this exists right in the city! This monumental structure was originally constructed for the 1915 Panama-Pacific Exposition in order to exhibit works of art presented there! Can you imagine it was for one time only? 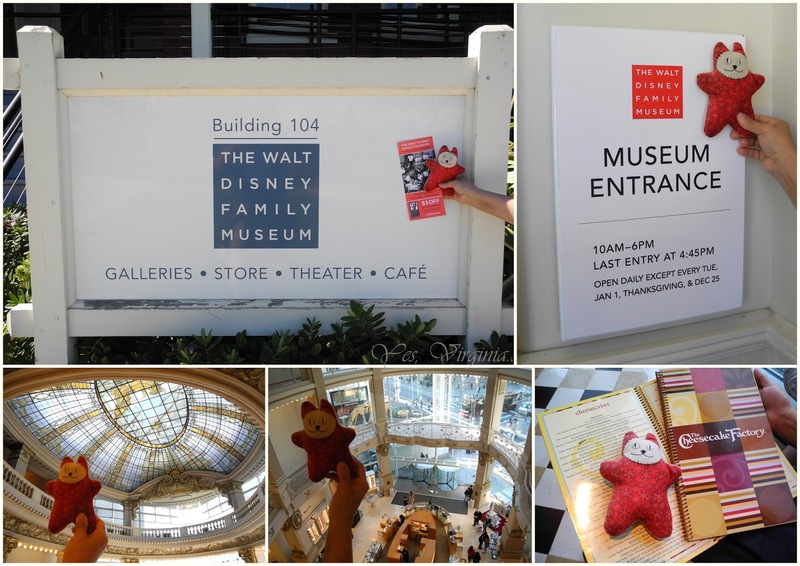 If you know the Lus, they LOVE museums and they LOVE Walt Disney....so we had to hit the Walt Disney Museum! Dr. John led the walk to the museum. After a felt like forever 20-minute walk, we made it to the museum! The museum exhibitions and displays were so awe-inspiring. I know Virginia took a lot of photos and inspiration from that museum visit! We also enjoyed shopping (see bottom three photos) at Macy's near Union Square! The ceiling (over 100 years old) is stunning! However, what captivated the Lus was the dinner at The Cheesecake Factory (thumbs up)! The views from the 8th floor balcony of The Cheesecake Factory were breathtaking! 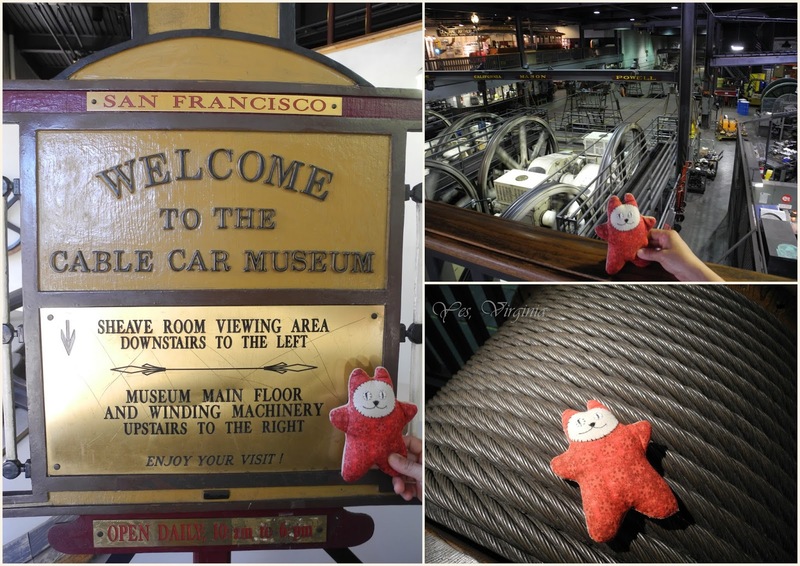 Then, on the next day we took a cable car and toured the Cable Car Museum! Look at that size of that cable? I must say that it was not very comfortable to lie on...but you get the idea! 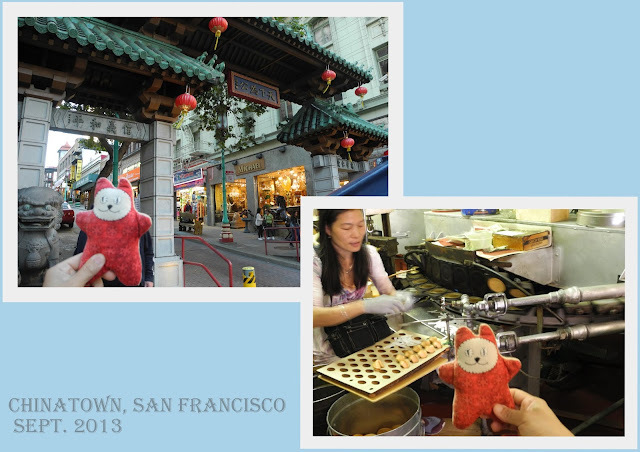 After that, we went to the largest Chinatown in North America. We even had a little tour of the fortune-cookie shop/factory! Boy, the cookies were so fresh! We saved the best for the last day in SF. We took a taxi and then had a stroll on the Golden Gate Bridge! 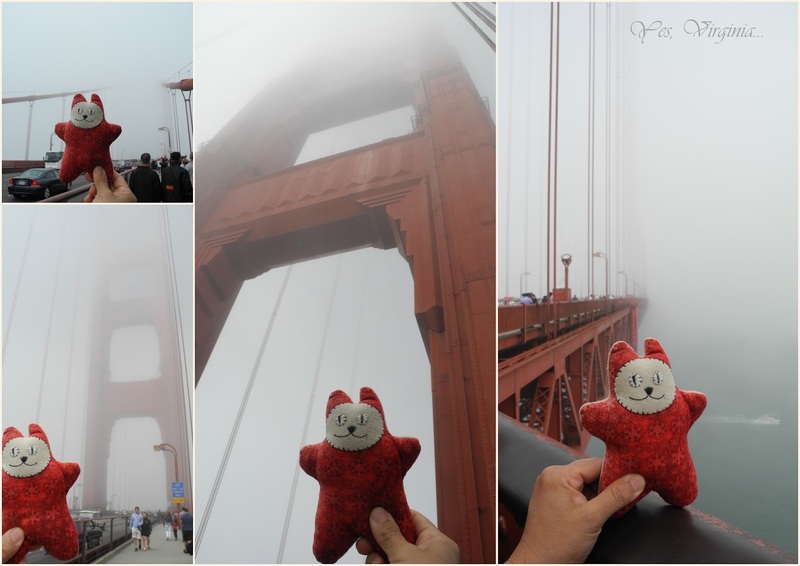 Too bad it was very foggy (we arrived around 2pm), we couldn't get the entire view. However, I love the misty effect, don't you? After the bridge, we went straight to the Golden Gate Park. This park is beautiful and oh .so.massive! 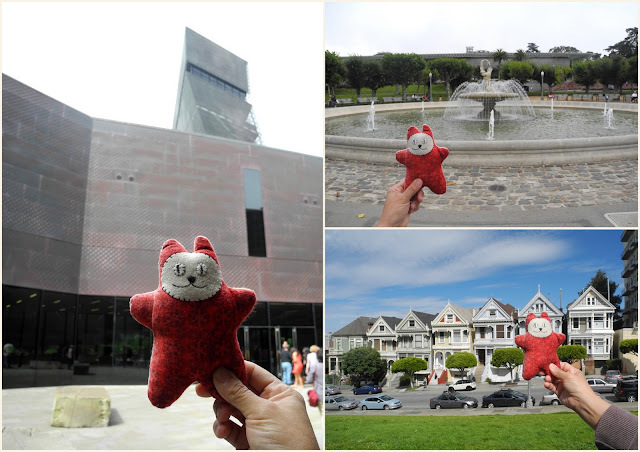 We quickly toured the De Young Memorial Museum ( the observation floor is free). Last stop---> Alamo Square. From there, we saw the famous Painted Ladies! These Victorian houses are quite ornate and lovely. I wouldn't want to live there though as there are tons of tourists (like me) staring at them EVERY DAY! And this concludes our San Francisco trip. 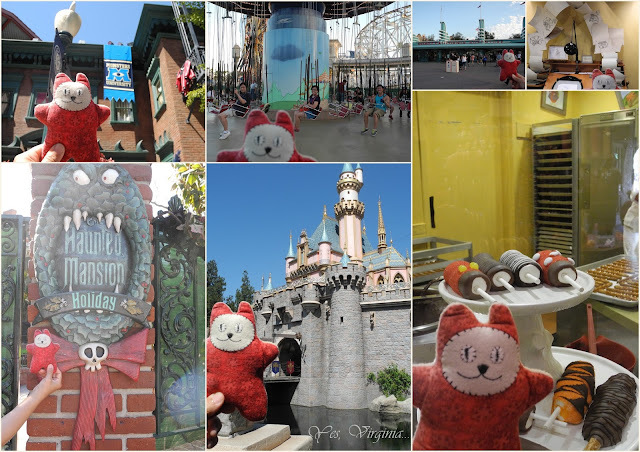 We then flew to LA and stayed at the resort in the Happiest Place on Earth--Disneyland! 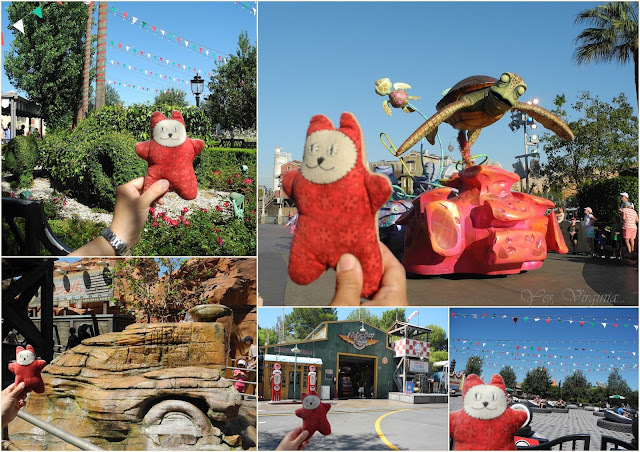 We spent 4 days in the theme parks! Stephanie and David took every BIG ride multiple times to their hearts' content. Virginia didn't feel so well after taking Space Mountain and Splash Mountain (twice each ride) that morning! I don't blame her! Thanks to the Lu Family, I was happy to tag along with them. I wonder where the next trip will be....hmmm! Lastly, here is a photo of Virginia---photo-bombing Cinderella! Hope you enjoy my traveling as much as I do. Thanks for stopping by! The Virtue of Border/Background Stamps! From The Happiest Place on Earth....To Home! 4 Stamped Gift Bags--Under 15 mins!